Leave your car keys at home, and reserve your car-free travel package to enjoy all the benefits of staying with us car-free! Our art hotel is tucked in the midst of the Funk Zone, a hip and trendy area that demands to be seen on foot or by bike. As soon as you step outside, you’ll be surrounded by restaurant patios, boutique shops, and warm California air. 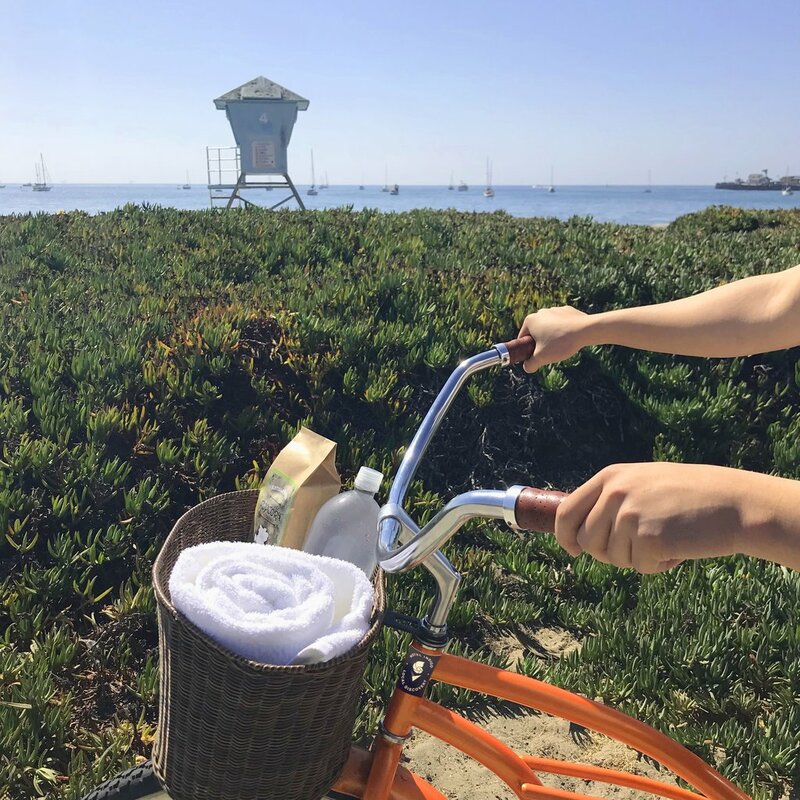 Take one of our on-site bikes for a daytime tour of Santa Barbara! Hotel Indigo Santa Barbara is within walking distance of the beach and several popular annual events cross our doorstep. Stay where the action is and elevate your stay with our car-free travel package.